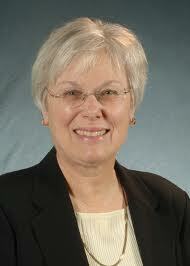 Please join me in welcoming Marilyn H. Oermann, PhD, RN, ANEF, FAAN to the role of Editor-in-Chief of Nurse Educator. As Director of Evaluation and Educational Research at Duke University School of Nursing, Dr. Oermann will bring her rich experience and voice to Nurse Educator. A prolific author, speaker and mentor, you may also recognize Dr. Oermann as the Editor of the Journal of Nursing Care Quality. We are delighted to welcome her to Nurse Educator and look forward to the leadership and expertise that she brings to the Journal and to the nursing education community. At this time we would also like to offer our sincere thanks to Karen S. Hill, DNP, RN, NEA-BC, FACHE, FAAN and Editor-in-Chief of JONA for her enormous efforts as Interim Editor of Nurse Educator over the last few months, and for the seamless transition to Dr. Oermann this February. Thank you, too, to the many board members, column editors, reviewers and authors who stepped in to offer strong support and ensure the ongoing success of Nurse Educator after the unexpected loss of our Editor, mentor and friend Suzanne P. Smith, RN, EdD, FAAN last Fall. Please continue to share your ideas, contents and expertise with Nurse Educator. We are looking forward to an exciting 2014 as Dr. Oermann takes the helm and works with the editorial board to grow Nurse Educator, maintain relevance through outstanding evidence-based content and increase our reach in the education segment. Congratulations to Marilyn! Please leave best wishes or other words of encouragement for her in the comments. This entry was posted in Editing, News and tagged editorial role, professional colleagues by Leslie. Bookmark the permalink.